Bayside Mortgage is open normal business hours but we monitor our email and our voice mail 24 hours a day. You may call us at 1-800-886-6592. If it is after business hours, you can leave a message or call our president at home 1-561-624-2004. (How many loan officers give you a home number!). We can answer your questions, about Florida mortgages, over the phone or you can send us an email so that we can assist you in finding a Florida mortgage loan program that will best suit your situation. Of course, you can check our Florida mortgage rates and apply on line if you wish. The bottom line is you don’t have to go any further than your computer or your phone to apply with us. This is a busy world and taking the time out to go to a bank or a mortgage office can be very consuming. With Bayside, you can submit your application electronically or if you are uncomfortable with that, we can fax you an application or we can take it over the phone. If you give us the go ahead, we can lock your rate in so you are guaranteed the rate and terms that you expect. Once we receive your file, we check your credit and income. If everything looks ok, the next step is to get your appraisal done. 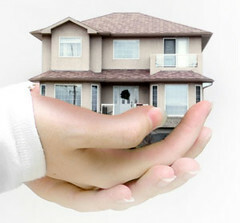 We will ask you for $350.00 to cover the cost of the appraisal and credit. If you change your mind half way through the process Cialis Online, we will still have to pay for the appraisal and credit so we collect for it “up front”. You can also pay the appraiser at the door if you are more comfortable. We will refund this money to you if for any reason we do not do the appraisal and credit and of course it will be credited towards your closing costs. While the appraiser does his job, we will gather up the income and banking documents that are requisite for approval. At that point the file will be submitted to underwriting. Mortgage approval is dependant upon income, asset and credit approval. We have delegated underwriting authority for conforming deals up to 80% Loan to Value – if your loan falls into this category, we can (and have) close deals, start to finish in hours.Â There is generally a home for every situation. Any conditions that arise from a diligent inspection of the aspects of the loan will be communicated to you immediately. We will work with you to solve any deficiencies. Once we have a full approval, we will be in a position to close. We have attorneys that handle the closing anywhere in Florida, but we will work with any title company or attorney should you have a preference. From first contact to closing, the loan process normally takes about two weeks. We can close loans in less time if it is necessary. Remember, we are not bankers and we don’t work like bankers – we will do what it takes to make your time frame!